Water! It's that magical, life-giving, strong-hair-and-nail-making beauty essential. Get your fix and up your beauty game with a water bottle that's almost as gorgeous as you. 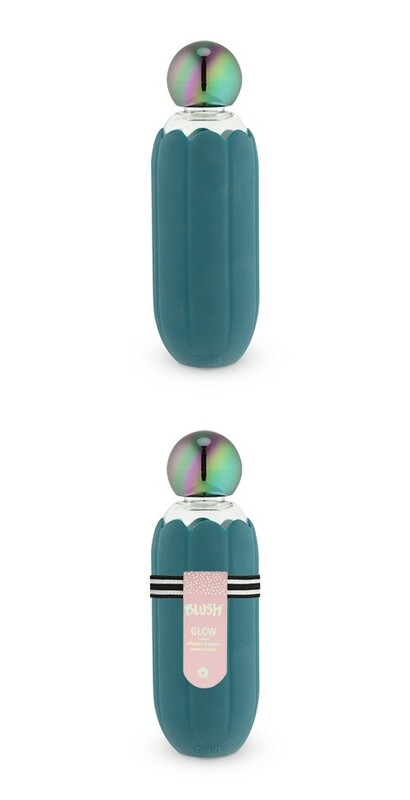 Features a stylish teal-silicone-wrapped body with an iridescent "mirage" cap.